Today, we bid farewell to the legendary post-apocalyptic 2D classics. Due to circumstances beyond our control, we needed to pull the three classic Fallout games, that is Fallout, Fallout 2, and Fallout Tactics, from sale and remove them from our DRM-free catalog. These classic titles have been with us since day one, that is for over 5 years now, and they were always one of the highlights of the selection of games that we offer. There are very few titles in the history of computer role-playing games, that have had so much impact on the gaming landscape, players' expectations, and even the popular culture. The iconic setting, the memorable quotes, and unparalleled amount of fun and challenge these games provide--it's all burned in the memory of a whole generation of gamers. Probably even more than just one generation. It was an honor to have you here, Fallout. Take good care of yourself out there, try not to mistake a gecko for G.E.C.K. (not even remotely the same thing! ), and remember to take your Rad-X pills! 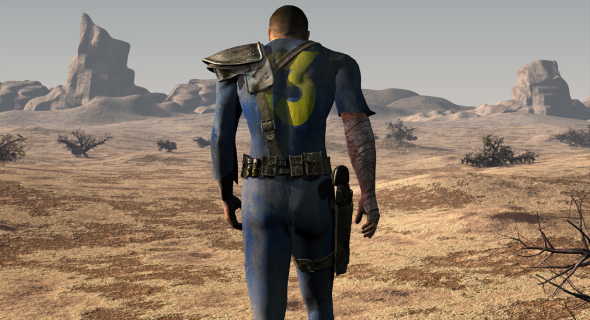 All those who acquired Fallout, Fallout 2, or Fallout Tactics on GOG.com prior to the date of removal (that is before Tuesday, December 31st 2013, at 3:59PM GMT), will still be able to download the games' install files (as well as the bonus content) via the "My Games" section of their user accounts. Gift-codes for these three games acquired in our recent giveaway are no longer valid. However, if you own a gift-code for any or all of them that was purchased outside of the said giveaway, you'll still be able to redeem it in the foreseeable future. We sincerely apologize for all the inconvenience this situation may have caused you. We invite you to browse through 671 other fantastic titles offered in our DRM-free catalog of the best games in history, and we wish you a Happy New Year of gaming!